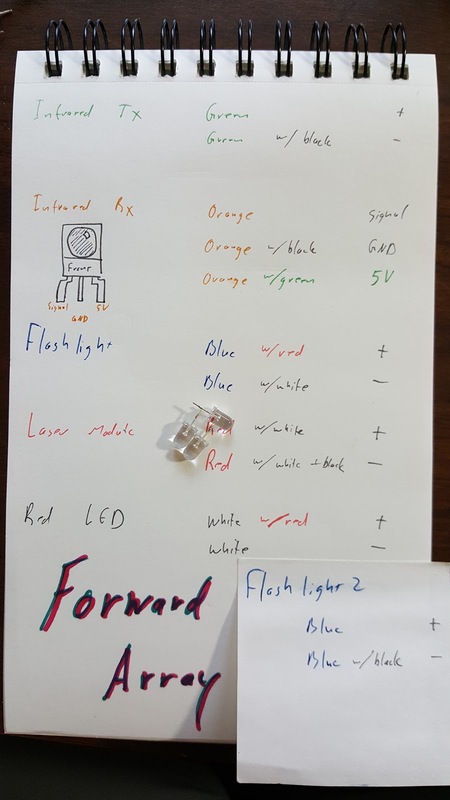 A list of components and wire colors were made based on an old color scheme. This version included a second set of wires for the second flashlight LED. 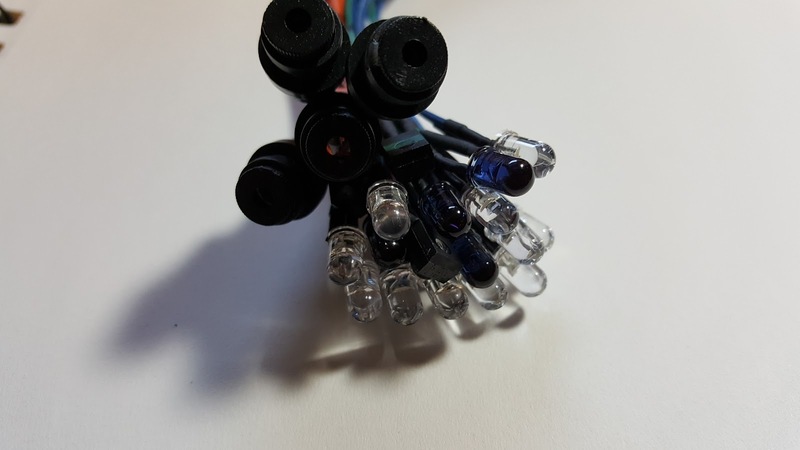 The first version assumed the flashlight LEDs, two bright white LEDs, would be soldered together right in the array but it seemed easier to wire each light individually. Wire colors were based on some surplus multi-conductor wire, Belden 9948, a twenty-five conductor wire which could be salvaged for twenty-five wires with unique color codes on each wire. 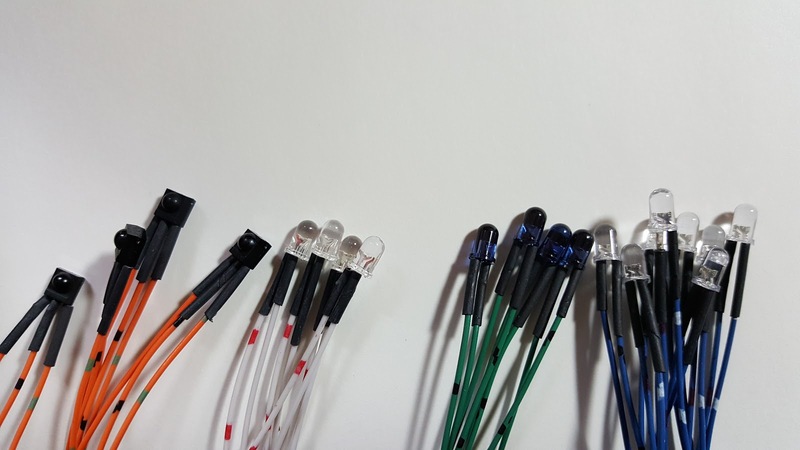 Each component had its leads trimmed and the color-coded wires were tinned so they could be soldered together. Once the wires were all soldered to the components, it was each to check for inconsistencies by comparing the components to one another. 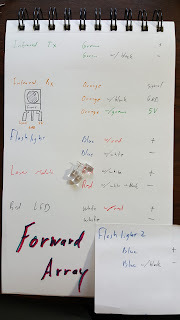 Only one LED had its leads soldered backward but this was easily remedied. 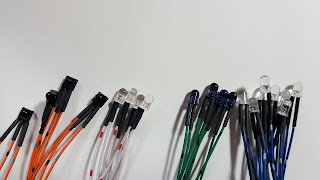 Shrink tubing was used on each lead to protect them from shorts. Only the laser modules didn't get shrink tubing. They had enough protection and they were uniquely sized so shrink tubing was unnecessary and impossible. For the evening, there were thirty-four wires stripped and tinned, leads trimmed, joints soldered, and tubes shrunk.